The goal of AIEA Issue Briefs is inform AIEA members and the larger international education community about key issues in the internationalization of higher education and potential responses. Issue Briefs are intentionally concise, but provide references to enable SIOs to investigate the issue in greater depth. AIEA Issue Briefs are peer reviewed. Issue Briefs can be submitted in Word as email attachments to Teresa Wise ([email protected]). 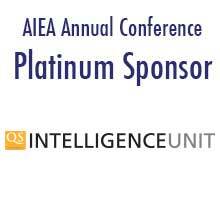 Please include “AIEA Issue Brief” in the subject line. Queries about potential topics can be directed to the same address. AIEA Occasional Papers are essays or reports that inform the AIEA membership and the larger international education community about subjects relevant to the internationalization of higher education. They focus on some combination of practice, research, and theory, and should include analysis and discussion of an issue and/or reflection on experiences with current themes in internationalization. Occasional papers may emerge from or lead to presentations in AIEA conferences, thematic forums, or other AIEA events. As AIEA Occasional Papers are electronic publications, authors are encouraged to use headings, sub-headings, text boxes and graphics to help make the paper reader-friendly. AIEA Occasional Papers are peer reviewed are generally 3,000 to 5,000 words in length (excluding abstract, key words, and references), although longer submissions will be accepted. Manuscripts should follow APA style. Occasional Papers can be submitted in Word as email attachments to Teresa Wise ([email protected]). Please include “AIEA Occasional Paper” in the subject line. Queries about potential topics, paper formats, and so on can be directed to the same address.